The world is finally starting to ‘wake up’ to what Japan has to offer. Japanverse wants to be your tour guide on Japanese culture, subculture, music, movies and news. 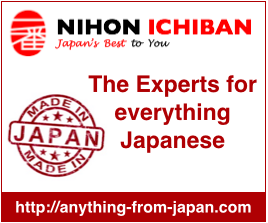 We work around the clock to bring you the latest news regarding everything and anything Japan related. I’m an average 28 year old New Yorker who happens to be infatuated with Japanese culture. I took Japanese studies in college and have 6 years of language study under my belt. I’ve been to Japan three times and eventually hope to go back there early next year.